The column styles above are pictured with either Tuscan, Box, Prairie, or Craftsman capitals and bases. 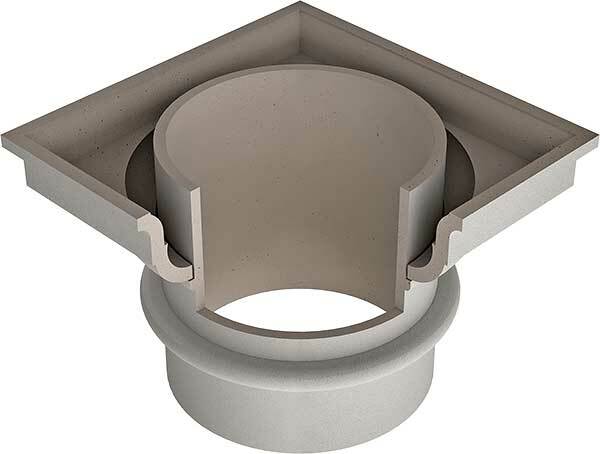 All of our columns can be adorned with a combination of standard caps and bases as well as decorative capitals. Royal Corinthian manufactures 4 types of composite columns that last for generations. We emulate the products of the Greeks and the Romans but using modern composite technologies to ensure longevity; therefore, we don’t manufacture materials that rot, crack, split, rust, or crumble. We offer RoyalCast™ composite fiberglass columns, RoyalStone™ polymer stone columns, RoyaLite™ FRP spray-up and pultruded fiberglass columns and column covers, and RoyalWrap™ cellular PVC column wraps. Every material offers certain application advantages so take a look at the comparison chart below or give us a call for a quick run through. 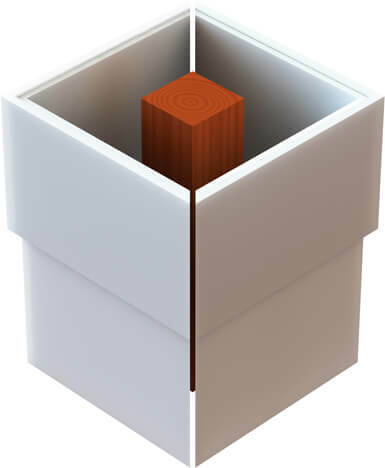 If you know which material you are looking for, click on the appropriate link. In addition to these 4 materials, we also offer RoyalCrete™ GFRC for those wanting a segmented stone-like product at a fraction of the weight and cost. Please contact us for more information on our GFRC columns. 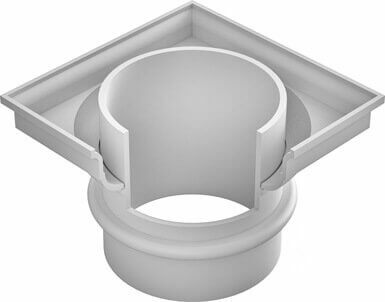 Wall Thickness 3/8" to 2" 3/8" to 2" 1/4" to 5/8" 3/8" to 1"
*RoyaLite™ Plain Square NON-Tapered columns are available as FRP column covers as two halves with a lap-joint or as pultruded whole columns, in some sizes, that are lightweight and loadbearing. 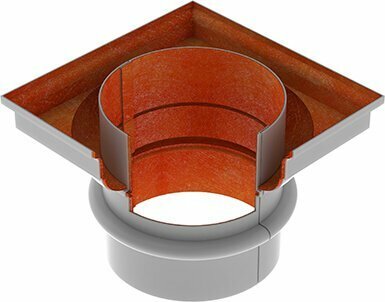 The whole columns are advantages when lightweight plain square loadbearing columns are preferred over column covers. The pultruded RoyaLite™ columns have specs that vary from the chart above. Specs are available upon request.